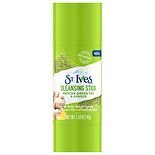 Shop St. Ives Cleansing Stick Matcha Green Tea & Ginger (2 oz. )2 oz. $999$9 and 99 cents$6.24 / oz. 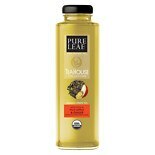 Shop Lipton Pureleaf Green Tea Fuji Apple & Ginger Flavors (14 oz. )14 oz. 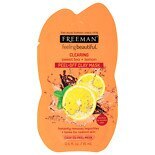 Shop Freeman Feeling Beautiful Sweet Tea + Lemon Peel-Off Clay Mask Sachet (.05 oz. ).05 oz. $229$2 and 29 cents$45.80 / oz. Ginger tea is a natural source of the antioxidants that are beneficial to your body. Ginger tea is often mixed with other flavors, such as peppermint or apricot, to make unique blends that taste and smell wonderful. 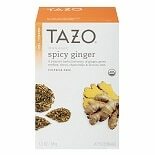 Well-known ginger tea brands include Alvita and Stash. 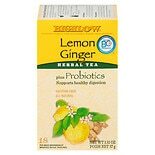 Ginger and apricot teas can be blended to create a full-bodied tea that tastes zingy. These teas are often served along with cakes, salads, sandwiches, and other meals. Teas are often made with natural ingredients, and each bag of tea makes one to two cups of the drink. The mixture of flavors is great for anyone who likes a little zest in his or her morning or afternoon cup of tea, and some types of tea are even gluten free for those who avoid gluten for health reasons. Making tea is easy when you have the right ingredients. 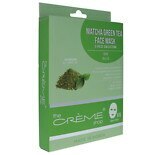 Unbleached teabags filled with your favorite types of tea are perfect for seeping. For example, if you like a mix of ginger and peppermint, simply place the teabag in a hot cup of water for three minutes. Press the bag before it is removed to release more flavor. Different bags may release flavors in unique ways, and some loose leaves can be hand-mixed and seeped in special scoops. Some people like to add honey or sugar as a sweetener to their favorite teas. 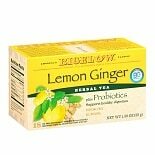 Ginger tea is great for those looking for a healthy drink to have during the day while at work, home, or school.